Our Form Builder is a unified instrument to create various sorts of fill-in forms and display them on your website. 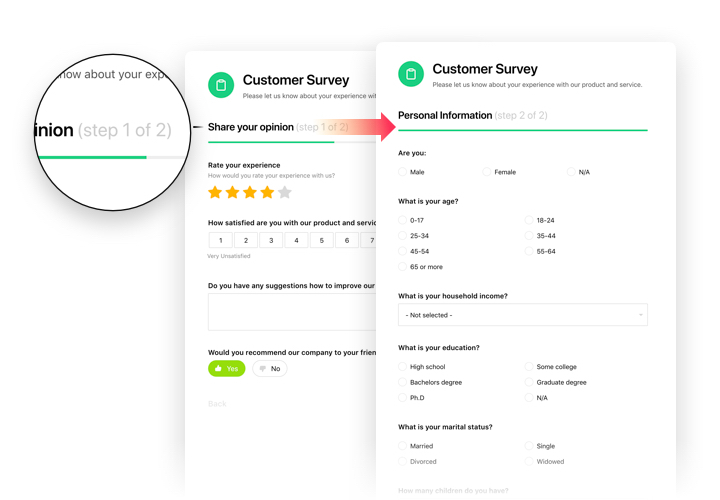 Collect info from your ongoing and possible clients with handy surveys, feedback forms, rating requests, and even more formats. Design the form structure, add fields, and choose a layout. 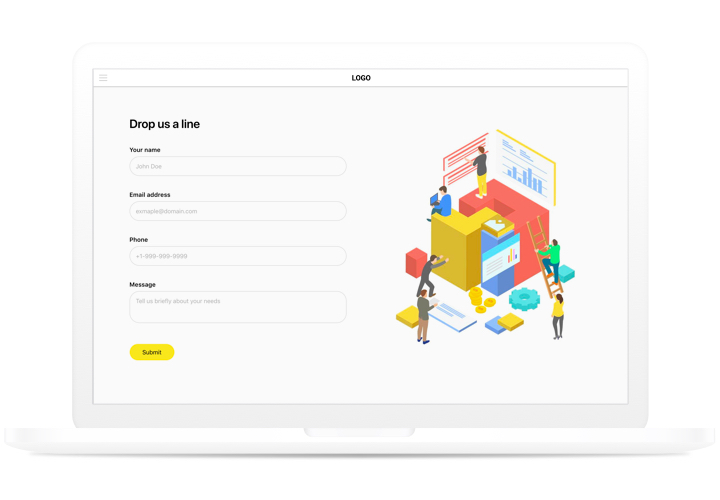 Whatever types of data you need to have: ideas, appraisals, orders, and selling – our widget will give everything to create a suitable the best filling form. Thanks to adjustable setup and diverse available components, your form will be convenient for your clients and high-efficient for you. Collect clients’ opinions, work with orders and queries of your site users! 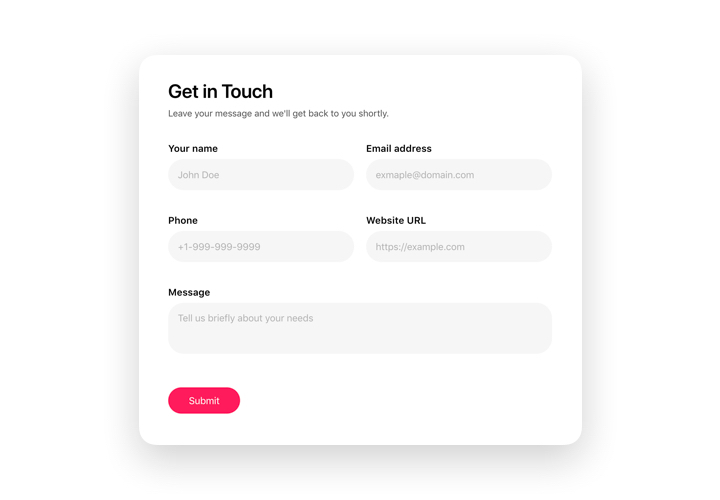 Apply every feature of the plugin by Elfsight to create powerful filling forms. Choose components and control the setup to make your forms well-shaped and easy-to-fill. Try style Features to shape a remarkable appearance and summon more feedback. Don’t let the audience drop the filling unfinished to miss valuable insights. Shape forms with multiple stages and convenient skeleton, that will hold users engaged till the finish. 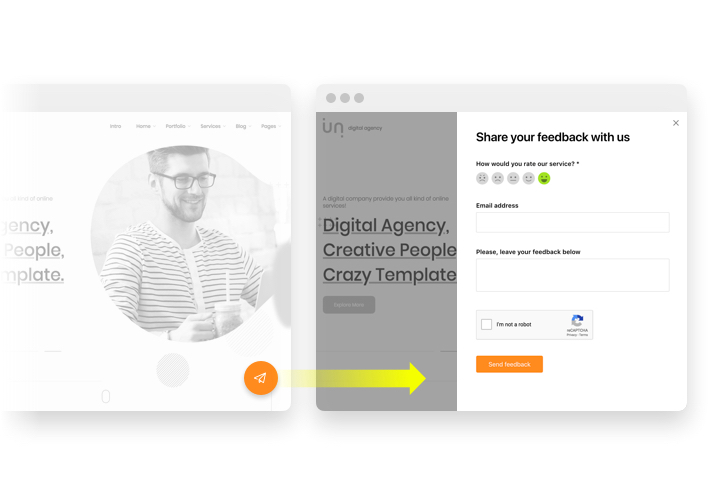 You don’t need to purchase a lot of different solutions to cover all your requirements in shaping feedback forms for your site. 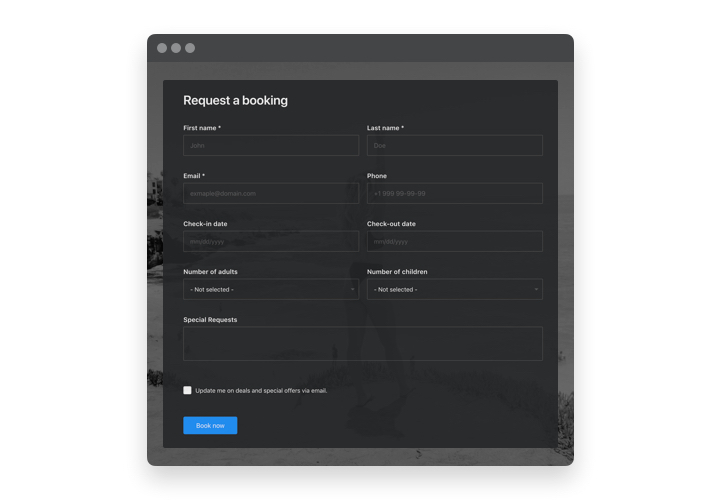 Our Form Builder allows designing any form to get insights, thanks to its various components and flexible pattern. 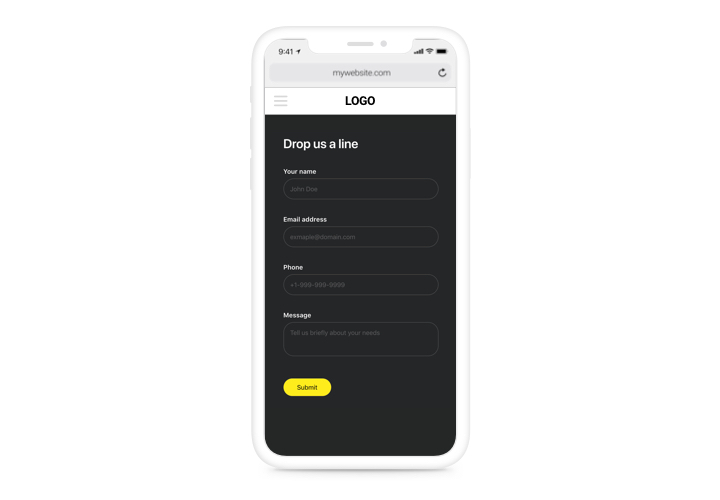 Design fill-in forms of unlimited variants to obtain customer details. Our plugin is intuitive in integration and will not require experience in development. You will need about a couple of minutes for implementation of the guide. With our free editor, create a plugin with desired layout and functions. After widget configuring, you will see a popup window on Elfsight Apps with your unique installation code. Save the code. Add the plugin to the required are of the page and publish the results. Go to your website, to check your work. Looking for advice with installation or customization of the plugin? Our support specialists will be glad to help and offer a solution! Create your own plugin right here!